Filmmakers LOVE the Phoenix Film Festival and we want you to find out why! 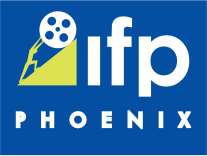 The Phoenix Film Festival annually screens 300 films, holds amazing parties and provides filmmaking seminars to capacity audiences. Over 27,000 attendees enjoy the festival. The Festival takes place all in one convenient location and is held on 7 screens at the state of the art Harkins Scottsdale 101. All parties and workshops are held in the Party Pavilion just outside the theatre. Which means everything you need is right on site. What are you waiting for? Make sure your film fits into one of these categories and enter! Have a short screenplay? scroll down for info on the Phoenix Film Festival Short Screenplay Search. Have a horror or sci-fi film? Take a look at the International Horror and Sci-Fi Film Festival. Feature films have a total running time of over 60 minutes and includes both narrative and documentary films. Medium-length films have a total running time between 31 and 59 minutes.